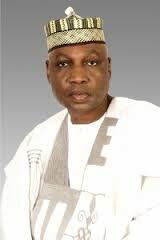 Saleh Dunoma is the Managing Director/ Chief Executive Officer CEO of the Federal Airports Authority of Nigeria, (FAAN). According to FAAN official website, “Engr. Saleh Dunoma, obtained a BSc (Hons) degree in Building Engineering in 1979 from the Ahmadu Bello University, Zaria. He had a brief stint in the public and private sectors respectively before being employed in the Civil Engineering Department of the defunct Nigeria Airports Authority in 1980, the NAA metamorphosed into the Federal Airports Authority of Nigeria. Dunoma has since served the Authority in various sensitive capacities. At various times, he acted as Airport Manager Kaduna Airport and Mallam Aminu Kano International Airport respectively. In 2000 he was appointed substantive Airport Manager, Nnamdi Azikwe International Airport Abuja, a position he held until he was reassigned in 2005 to the newly created Directorate of Aviation Security & Safety as the General Manager (Technology & Capacity Building). According to guardian.ng “Being at the top of his career has not changed his simple character and his quiet demeanour. Engineer Saleh Dunoma, the Managing Director/CEO of the Federal Airports Authority of Nigeria, (FAAN) would rather bank on his track record instead of indulging in showmanship. And this must have informed his being noticed to be tipped for the highly coveted National Productivity Award by President Muhammadu Buhari. The dynamic man of quiet lifestyle no doubt appears to share the character traits of simplicity and personal integrity with the President. For the records, Engr. Dunoma also received the award as the 2014 Best Emerging Airport – Africa region at the 4th Annual Emerging Airports Conference and Exhibition in Abu Dhabi, United Arab Emirates quietly. To those who know him or work with him, Engr. Dunoma is a man of high personal integrity. He would rather let his handiwork and performances speak for him than blow his own trumpet.